Being a family-owned liquor store chain powerhouse in the state of Georgia is rather unusual, since state law limits owners to just two licenses. But Tower Beer, Wine, & Spirits has defied all expectations, and has been a top destination retailer in the area for nearly 70 years. With one location in Atlanta and the other in nearby Doraville, the business continues to grow in overall sales and volume. The Tower legacy began in 1948, when Greenbaum’s uncle and brother opened their first store in Atlanta. Then known as Tower Package, the two brothers opened a second location four years later. Eventually there were five separate Tower locations, but when the law limiting only two stores per license holder passed in 1962, the siblings ended their partnership in order to maintain more stores individually. The two stores retained by Greenbaum’s father are the ones that kept the Tower name. Upon graduating from college in 1972, Greenbaum joined the family business. The two Tower stores increased their beer and wine selections over the years and also moved their two existing stores to larger locations. The Atlanta store, which currently employs 55 people, underwent a major expansion seven years ago and now fills a 21,000-square-foot space. 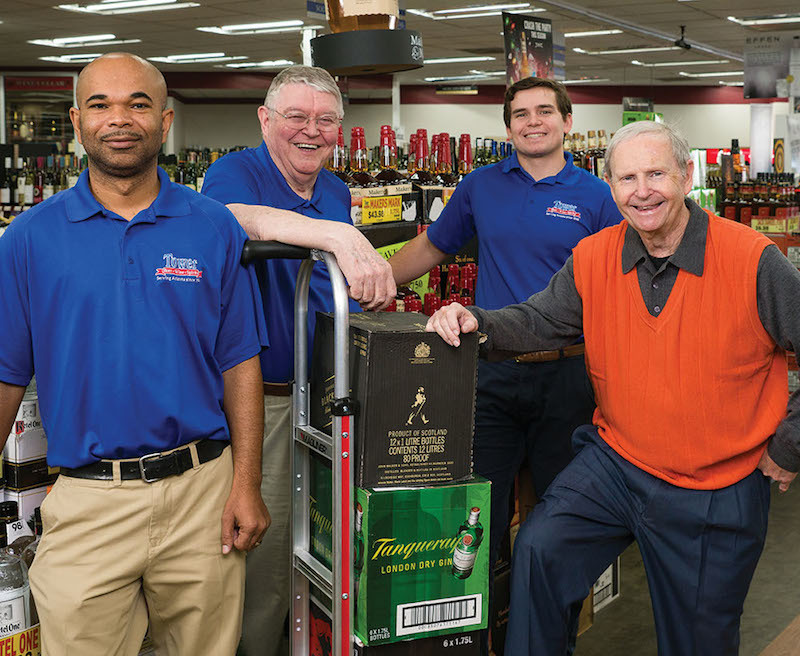 The Doraville store has a staff of 45 people and expanded five years ago, occupying a 24,000-square-foot location. Each store has slightly different product offerings. 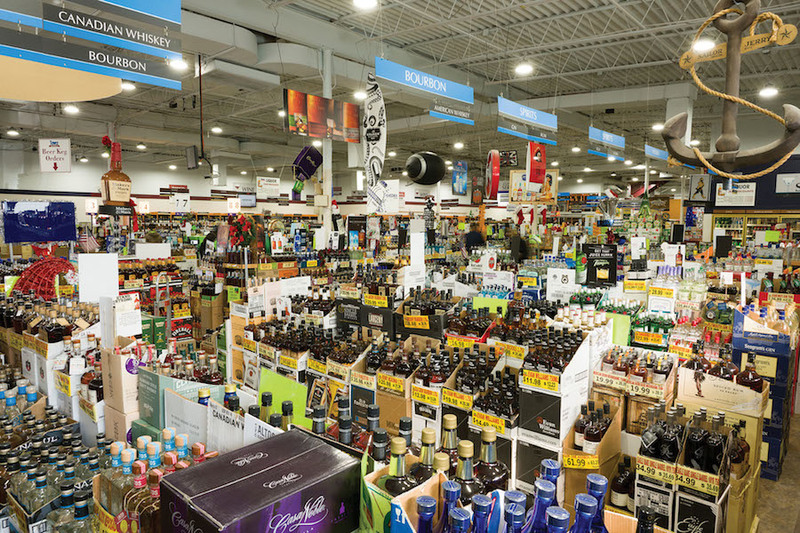 Greenbaum cites the different customer demographics as a primary reason for this, explaining that the Atlanta store is located in a more affluent area and generates higher wine sales than the Doraville store, which results in a higher profit margin overall. Conversely, the Doraville store consistently generates more sales in the beer and value brand categories. Along with a growing economy, physical growth within Atlanta’s city limits over the years has improved sales at both locations, which continue to see annual profit increases. However, with growth comes a new set of operational challenges. How does the Tower brand keep up with changing customer demand and remain a go-to destination for customers? Tyler Sheron, the company’s Purchasing Director, says that despite the changing trends, Tower remains committed to its two core principles. That distinction is important for Tower. Although the company has a longstanding history in the Atlanta area, economic growth and an expansive industry have resulted in much more competition than Tower faced in years past. While independent retailers in Georgia all must abide by the two-store limit, other retailers such a grocery stores (which are prohibited from selling beer or liquor in Georgia) have tried to close in on the booming wine market. Despite those challenges, Tower has remained successful. Sheron says the two-store limit can be frustrating from the perspective of wanting to grow a business. However, as competitors in Georgia are all faced with the same limitations, it simply forces Tower staff to think outside the box and come up with innovative ways of maintaining and expanding its customer base. One way that Tower is making its products more accessible to customers is by tapping into web and mobile engagement. While Georgia doesn’t allow customers to purchase alcoholic beverages online or for retailers to ship them directly to consumers, Tower’s website allows customers to view a comprehensive inventory of all in-stock products, place an order, and pick up at one of Tower’s two retail stores. The online order placement helps customers save time and shop at their convenience. “There are many more Millennials living in the city than there ever were before, and they look for different products and constantly keep us on our toes. It’s a challenge to stay on top of trending products and keep people satisfied,” says owner Michael Greenbaum. Piggybacking on the online ordering system is Tower’s new mobile app, which launched in late 2016. In addition to the online ordering function, the free app includes promotion details, tasting room event information and several other features. Future plans to enhance the app include adding a live chat feature to allow customers to communicate with in-store staff via smartphones. Tower is currently promoting the app via in-store flyers, local billboard advertisements and social media pushes. Sheron reports that one of the most effective ways to get customers to download the app has been setting up an in-store table run by a Tower staffer, who tells customers about the app and helps them set it up on their phones. Tower’s mobile app has the potential to be a great marketing tool for the company, which also employs a full-time marketing director. The business is highly active on social media and has focused much of its overall expansion efforts in recent years on growing the Tower brand. “Our goal is to make sure if someone in Atlanta is thinking about liquor, Tower is the first name that comes to mind,” Sheron says. Another priority for Tower is making sure that once a customer sets foot in one of the store’s locations, they can find exactly what they’re looking for. With so much space at each store, Tower is able to offer a wide variety of products. However, it’s still a constant challenge to keep pace with continuously shifting trends. 100 people work at Tower’s two locations. Georgia laws can pose some problems for customers who want to get their hands on something specific: for example, retailers aren’t allowed to carry any beers that contain more than 14% alcohol by volume, requiring Tower staff to explain that rationale to customers. However, the business is committed to obtaining the products a customer wants even if the stores don’t currently have it in stock. Special orders are always available, and Sheron reports that the company generates a large amount of sales in special orders each year (a number that has continued to rise). How can a retailer effectively stay on top of so many different trends? One way is by having good relationships with local on-premise establishments. Sheron says he spends a lot of time in Atlanta, visiting different on-premise sites and building relationships with that part of the industry. As a result, Tower can often pick up on local trends as they emerge. Facilitating customer tastings is another way Tower has been successful introducing new products to customers and encouraging additional sales. 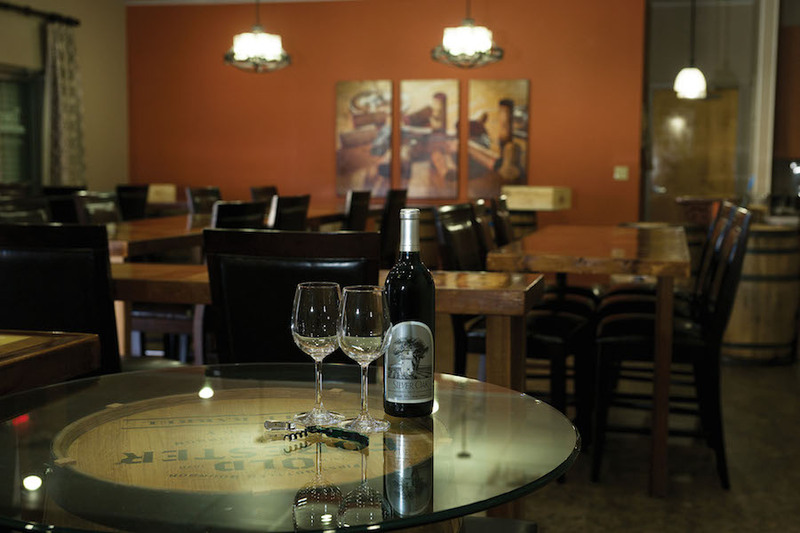 The Doraville location hosts two beer, wine or spirit events per week in its tasting room. Occasionally Tower has also offered food pairing tastings, such as a beer and burger event. Although customers enjoy sampling new products, one challenge Tower faces is the state law requiring tasting rooms to be separate from retail stores and to also have a separate entrance. While the Doraville tasting room is located right next to the store, Sheron says it can be difficult translating tasting events into sales for that reason. The Doraville location hosts two beer, wine or spirit events per week in its tasting room. 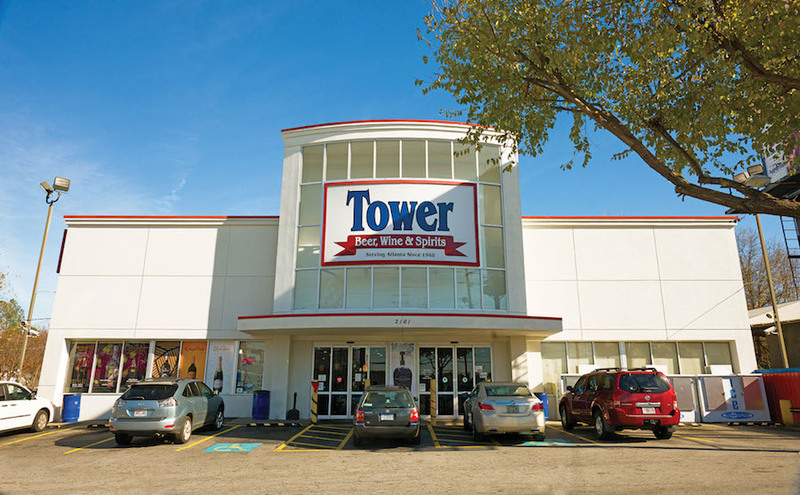 In addition to generating new ideas of how to continue growing its business within the confines of the state’s two-store limit, Tower also maintains a strong commitment to supporting its surrounding community. Each month, Tower selects a local charity event, and unlike many other businesses that simply offer up financial sponsorship, the Tower staff participate in the events hands-on. Sign-up sheets are placed in each store location, and all staff members are encouraged to participate in events that range from serving food to the homeless in soup kitchens to reading to children in local classrooms. Melissa Niksic is a freelance writer and marketing communications strategist from Chicago, IL. Her work has appeared in Chicago’s Daily Herald newspaper, Time Out Chicago, Suburban Life newspapers and various magazines. She is also the author of several children’s books. Follow her @MelissaNiksic.